I want to run in February everyday for 28 days. So far I have done 3 days of running. The aim is just to run as long as it is longer than 1km anytime of the day. I have done it 4 years ago, December 2009. I managed to run 31 days everyday. 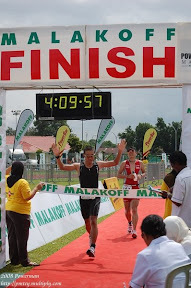 After that I joined Bukit Patoi Challenge and I felt good and fully trained. So now, 28 days of running for preparation of Singapore Urbanathlon on 3rd March 2013. To make it fun, everyday should be different – short run, fast run, long slow run, interval run, recovery run, lazy run, quick run, hill run, stair run and etc. As long it is running, that would be fine. If I don’t do this, I would be too lazy run. January 2013, I only managed to do less than 10 runs. The first few days of the month, I was running, then when I stop for a few days, I become lazy.